... in which we take a long weekend and eat cake! So what am I up to? Well Old Guy is out of town for a high school reunion. It's a bonus weekend of sorts in that pizza brochures and burger menus are once again emerging from the nooks and crannies of drawers and Bordeaux cherry ice cream swimming in Nestle's Chocolate Quik Sauce can be freely eaten and in copious amounts. I'm on day 3 of a cottage cheese and Miss Vicki's potato chips binge extravaganza. This has all come at a most inopportune time as I am supposed to be training for a 10k race next weekend. 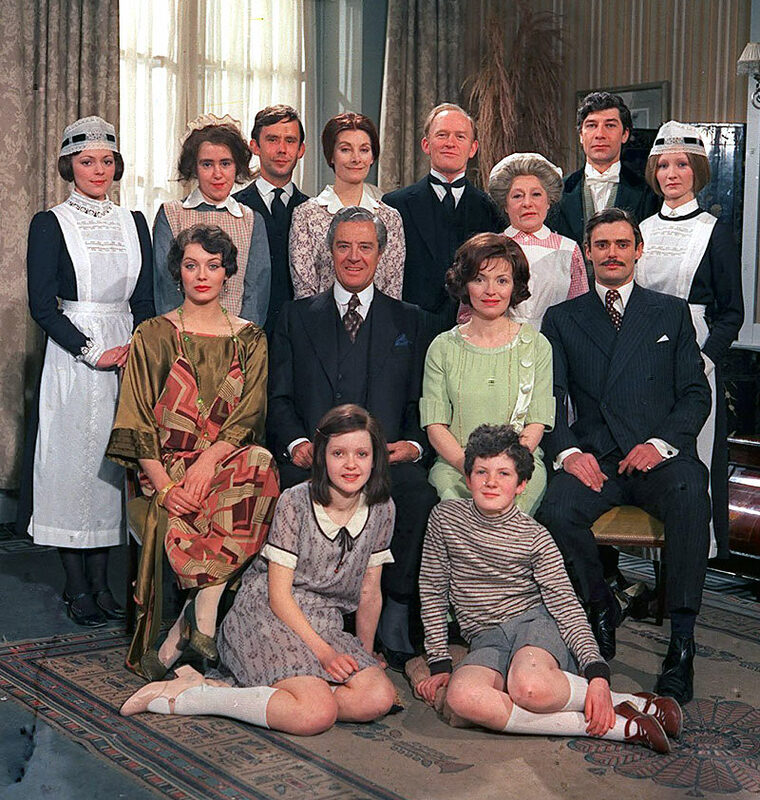 It was with great sadness that I finished watching my Upstairs-Downstairs DVD collection (Christmas present) - so much so that I actually watched all the Bonus features which included cast and crew interviews, plot development, musical score information etc etc... I just did not want it to end! Funny when I started Season 1- I thought "oh gawd this is dated..." but as the story unfolded and drew me in... it seemed the perfect period piece for my hexagon quilt hand sewing project. I'm not sure this happens to other people but I always seem to find myself watching shows in which someone is knitting (ie Mrs Bridges in "Up & Down" - as us groupies call it). I watch her technique. I replay it backwards and forwards to see if it's the "real McCoy" or just fudging. 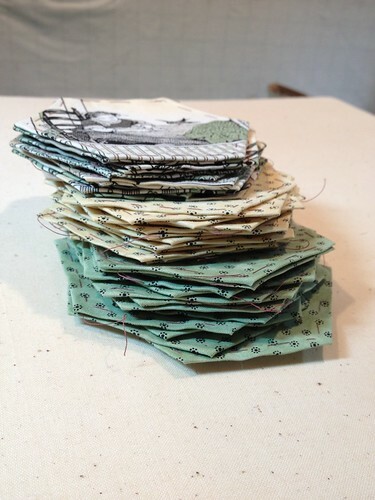 By the end of Up & Down I saw that Ruby's quilt was a hexagon quilt - just like I was making! How special is that? 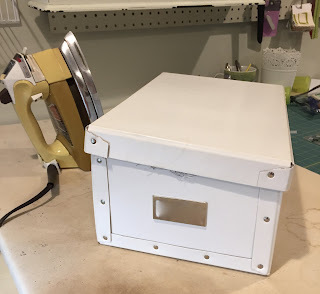 pick up my BRAND NEW sewing machine! Come home... and... hmmmm - the world is my oyster. Cottage cheese and chips anyone?